Stormshadow Guitarworks SS0032 Custom Shop Series Vanquish in Mahogany with AAAA Flamed Koa Top & Pau Ferro Neck. EMG 89 / SA & Fernades Sustainer with PA2 Gain Booster. 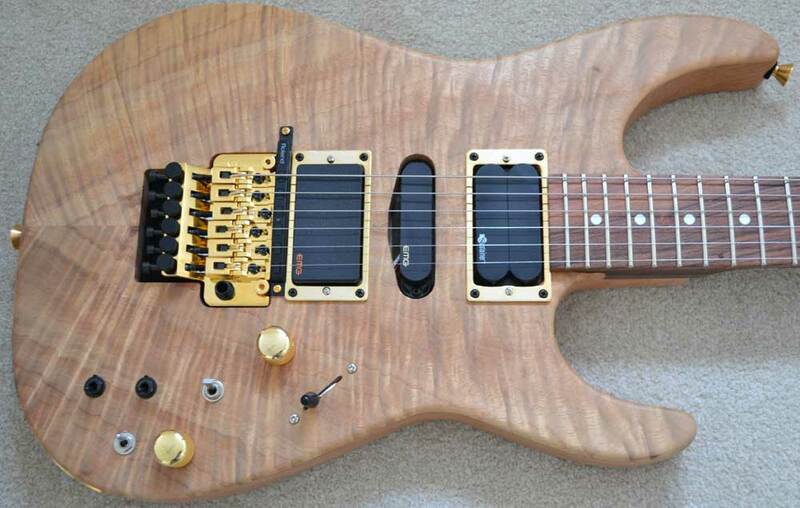 Schaller Lockmeister Floyd Rose, Gold Hardware & inbuilt Roland GK System.